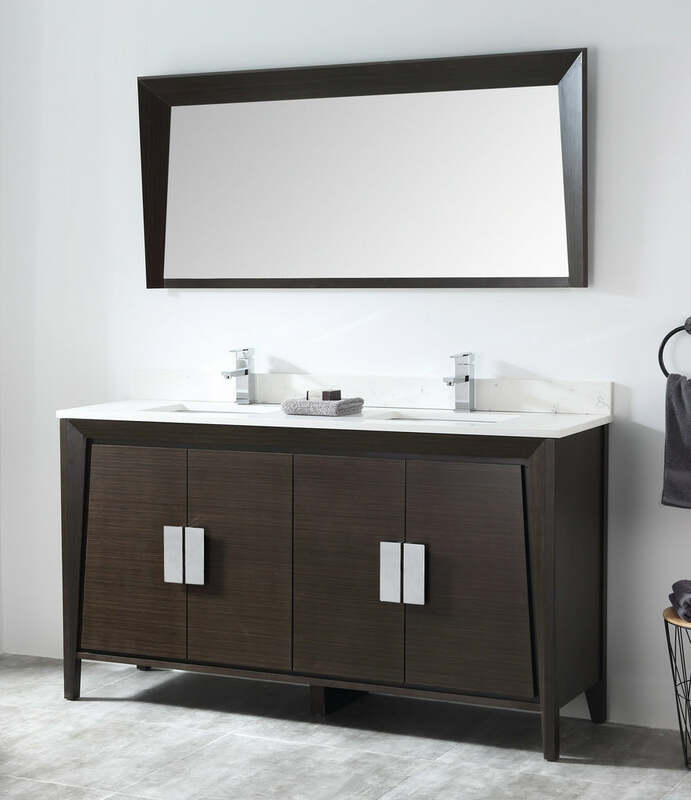 Tennant Brand Larvotto Ebony Finish Bathroom Sink Vanity will accent any bathroom. 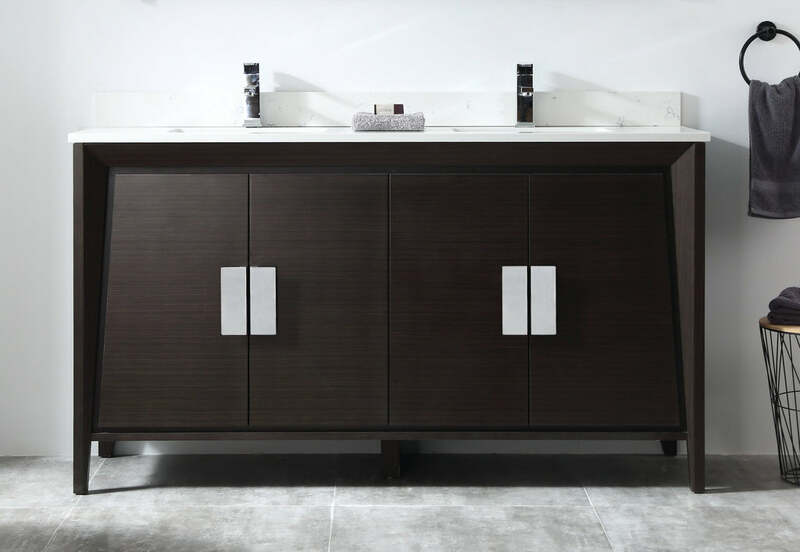 This striking design features 4 soft close doors, two shelves, chrome door handles, quartz countertop and two white ceramic sinks. 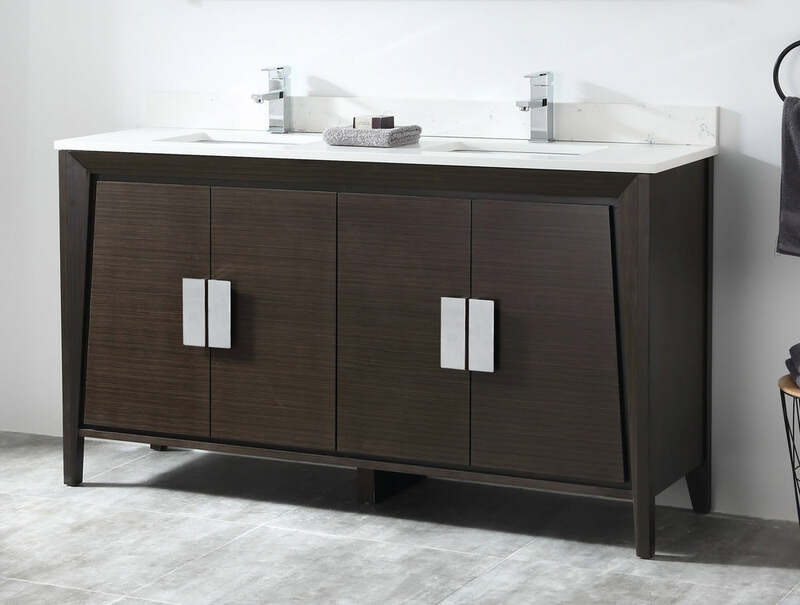 This double sink modern bathroom vanity is made out of the finest select birchwood. 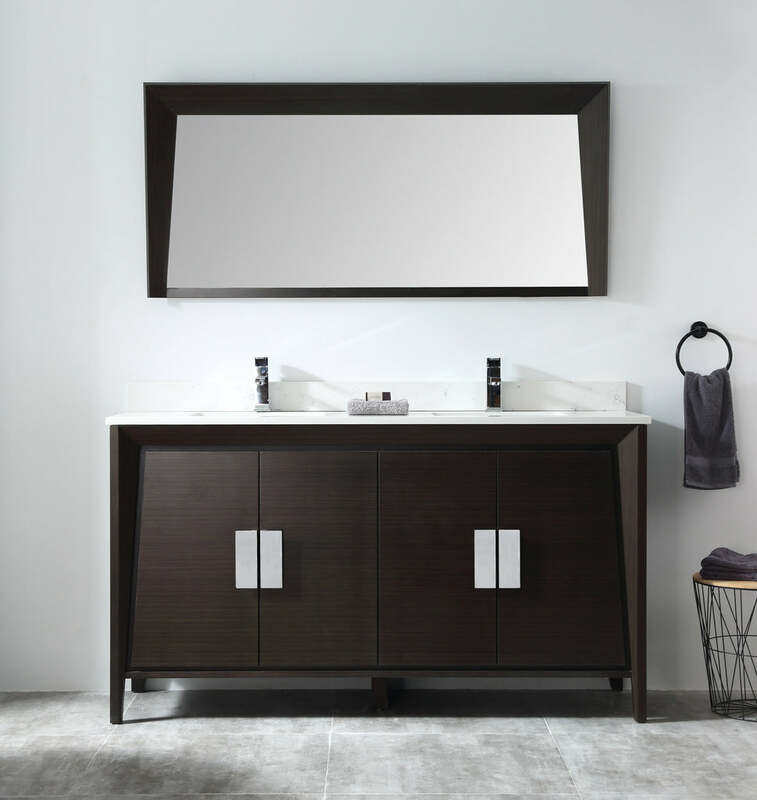 Solid, high-end furniture-grade construction, made with 100% solid wood and plywood only.